Figure 1. Descending Hawk pattern. 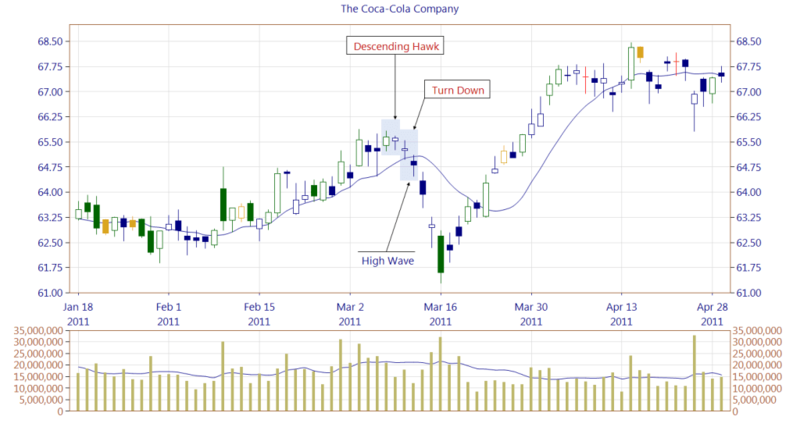 The Descending Hawk is a two-line bearish reversal pattern belonging to the harami patterns family. The candle's body of the first line engulfs the second line's body. Shadows do not matter in regard to both candles. The first line of the pattern may be any candle with a white body, appearing as a long line. Following candles are allowed: White Candle, Long White Candle, White Marubozu, Opening White Marubozu, Closing White Marubozu. Candles classified as doji or spinning top are not permitted. 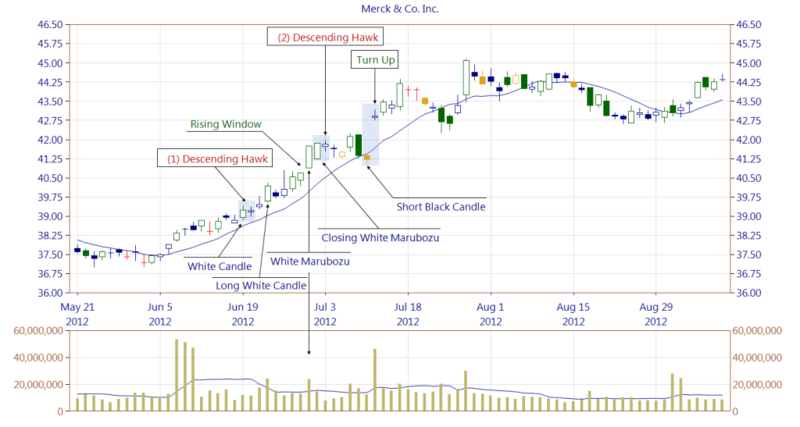 The second candle of the Descending Hawk may be any white candle, appearing as a long or short line, i.e. Short White Candle, White Candle, Long White Candle, White Marubozu, Opening White Marubozu, Closing White Marubozu. Candles classified as doji or spinning top are not allowed. Controversies around how to consider bodies and shadows are described in this article: Two-Line Patterns. The Descending Hawk appears in an uptrend predicting its reversal. It has to be confirmed on the following candles in the form of breaking out of the support area or a trendline and closing significantly below. The one should be cautious on the first line forming a support zone. Figure 2. A Descending Hawk pattern is confirmed by a High Wave basic candle, being the first line of a Turn Down pattern. Price drops rapidly on the following days. Figure 3. The Descending Hawk pattern belongs to the harami patterns family. Bearish patterns from this family have one common feature: their first line should be closed on the following days, that is a candle with a white body. Only then, such pattern is confirmed. A (1) Descending Hawk is cancelled on the following candles. Another occurrence of a (2) Descending Hawk also failed. Its first line, a Closing White Marubozu is closed by a Short Black Candle. A support area formed by a White Marubozu candle (being the second line of a Rising Window) was too strong however for the bears. The appearance of a Turn Up pattern confirmed the mentioned support zone. 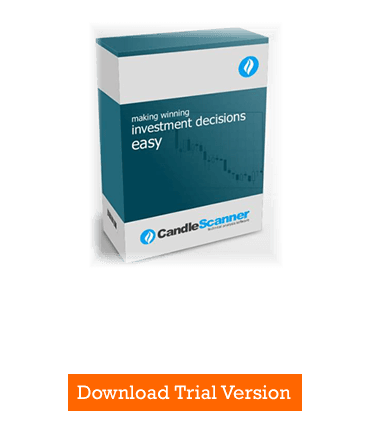 Below you can find some Descending Hawk pattern statistics calculated by CandleScanner software. To see more detailed statistics, for other markets and periodicity try our CandleScanner software. Prices start at only $10, and you can see more detailed statistics, for other markets and periodicity. Click here to find out more!